One of HD's twelve offerings to India, the Harley Davidson Sportster 883L is a cruising bike. Read on the review for its technical specifications, latest features and the price in India. Often when talking about the legendary Harley Davidson (or HD as they are reverentially known), all one needs to say is, The Men Are Back. For almost a century, Harley Davidson's bikes have known to exude nothing short of macho prowess and have been the dream of every man's man. Come 2010, Harley Davidson comes riding into the Indian territory, but not without a few made-for-India offerings - some are cruisers while others are tourers or sports tourers. 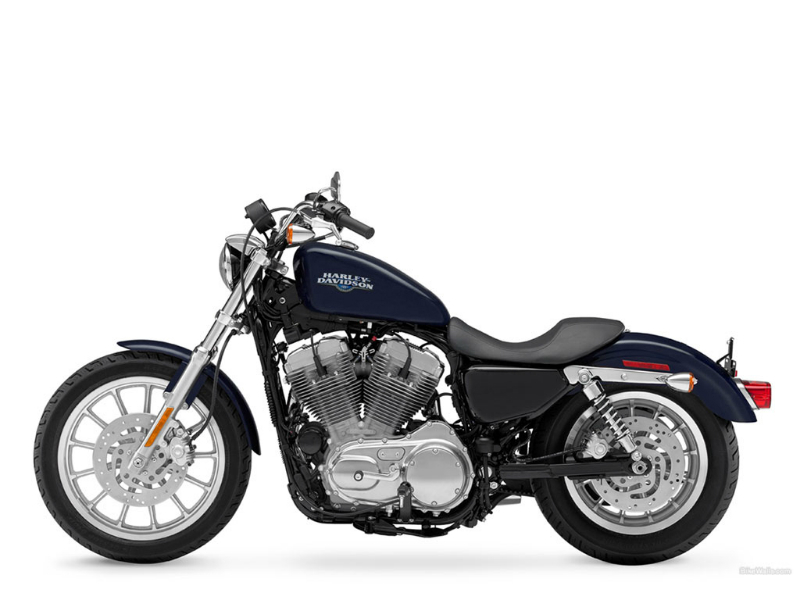 The Harley Davidson Sportster 883L, for instance, is a land cruiser. 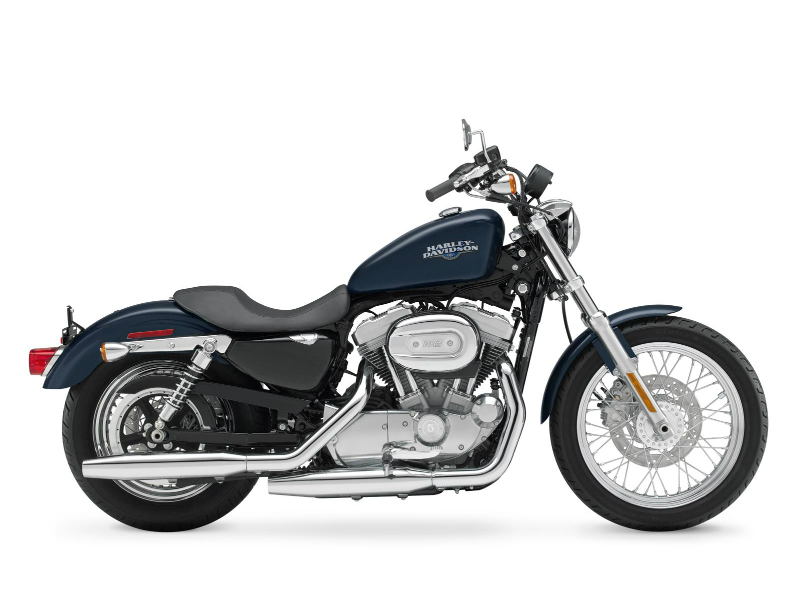 Like all HD machines, the Sportster would 883L would be available across 5 cities including Delhi, Mumbai, Hyderabad, Bangalore and Chandigarh. The Harley Davidson XL883L Sportster is equipped with a 4-stroke, Electronic Sequential Port Fuel Injected (ESPFI) XL V-Twin Evolution engine with the displacement value of 883cc, and generates a maximum power of 68 hp 50.2 KW at the speed of 4400 rpm and maximum torque measuring upto 70.00 Nm at the speed of 3500 rpm. To reduce vibrations on uneven terrain, the engine is rubber mounted on to the frame. 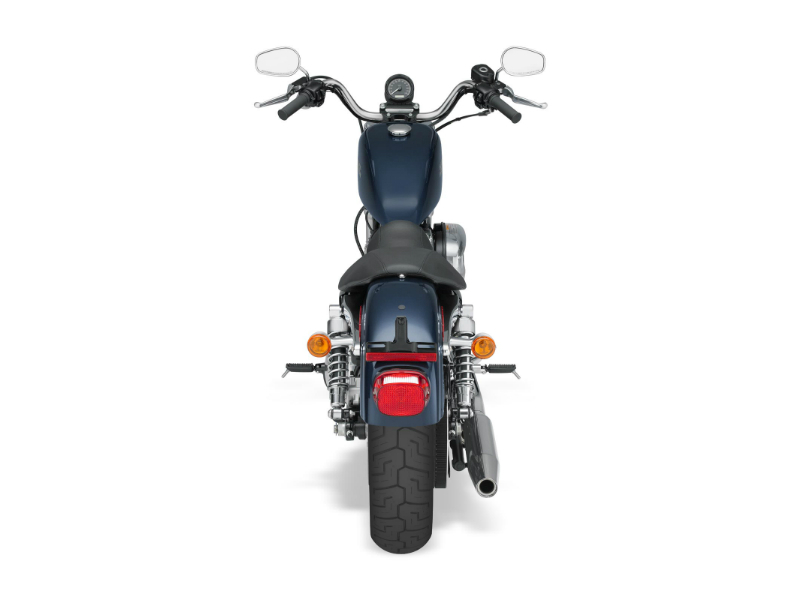 Those who have ridden the Sportster 883L at least once have admitted that its ergonomics do take a while to get used to. As has already been mentioned, this bike is meant to make riding convenient for even those who are short. The one piece solo seat is positioned a mere 25.3 inches above the ground, which renders this vehicle stability and comfort. Harley Davidson Sportster 883L, one of the most talked about international bikes with macho looks, fetches an average mileage of 4-6 kmpl. This mean machine is valued at Rs 6.75 lakhs ex-showroom price in New Delhi.